An image of Mr al-Araibi appeared in Thai media had been photoshopped so he appeared without leg shackles. PRIME Minister Scott Morrison says the sight of refugee footballer Hakeem al-Araibi arriving at a Bangkok court in leg shackles would have upset many Australians who feel "very strongly" he should be freed. 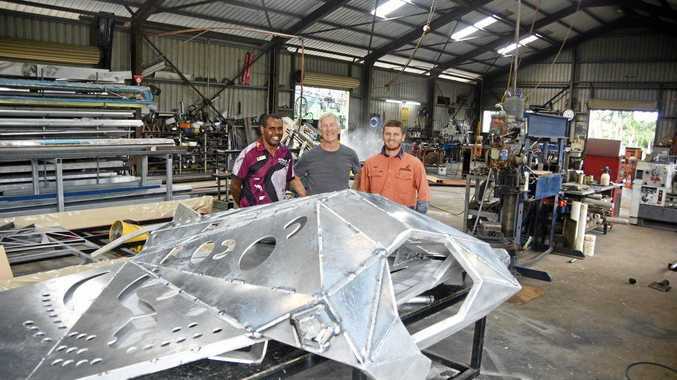 Mr Al-Araibi has been granted refugee status in Australia but faces extradition to Bahrain for allegedly vandalising a police station there in 2012. He was arrested in Thailand on November 27 while on holiday and on Monday was shown arriving at court in leg restraints, shouting "Don't send me to Bahrain". But images of the Australian refugee being led into court were blurred by Thai media so the shackles can't be seen. Bahraini Hakeem al-Araibi in shackles. Mr Morrison on Tuesday night said on Sky News he had received a reply to his letter to Thai Prime Minister Prayuth Chan-ocha calling for the Melbourne-based soccer player to be sent back to Australia. "I've written to him again, because I was very disturbed at the appearance of Hakeem at the hearing the other day. "He was shackled and I thought that was very upsetting and I know it would have upset many Australians," Mr Morrison said. "I'm respectfully reminding the Thai prime minister that Australians feel very strongly about this, very very strongly." The image from the Bangkok Post had been photoshopped so Mr al- Araibi appeared not to have been shackled. Mr al-Araibi was sentenced to 10 years' jail in absentia by Bahrain but denies he was involved in any vandalism. 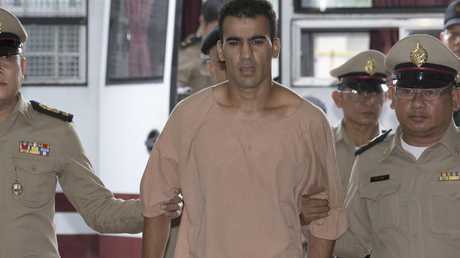 The head of Thailand's prisons has defended the decision to send Mr al-Araibi to court in leg chains, which has also sparked outrage in Thailand over his "medieval" treatment. Corrections Department director-general Police Colonel Narat Sawatanan rejected media reports al-Araibi had been wearing "shackles". He said he was instead placed in "leg restraints" which could be "locked and unlocked." He said according to the Corrections Act any inmate leaving prison in the custody of a corrections officer had to be restrained with an appropriate "fetter". "Because this particular inmate has generated a lot of public interest and his case is related to international relations, the officer decided that he should use this type of restraint," Narat said in a statement. "It is our duty to transport prisoners to prevent them from fleeing." Photos and video of Mr al-Araibi in chains and prison garb dominated local media discussion panels about the image Thailand was sending to the world. Thai media are prohibited under ethical standards laid down by the self-regulating Media Council from showing images of prisoners in restraints. "I think this is causing an outrage because a lot of international media are on this story and Thai people don't want to see Thailand treating prisoners like this," a senior Thai journalist said. "According to what I've seen on Facebook they're saying this is such a medieval act and they shouldn't be treating him like this. It's embarrassing that this image has to be shown to the world." Danthong Breen from the Union of Civil Liberties said the image of Mr al-Araibi in chains was "appalling" and went "against all rules on the treatment of prisoners." "The person has not been found guilty by a court," he said. "They should be presented in their ordinary clothes not in shackles in the court. It presents him as a criminal." Mr Al-Araibi will be in custody for at least another five weeks with pre-trial hearings scheduled for April 22 in the Bangkok Criminal Court. How the image was blurred in Thailand.